Daisuke Takahashi has announced the music for his new programs this season. His short program is “The Sheltering Sky,” a piano piece by Ryuichi Sakamoto, which was crafted by Canadian choreographer David Wilson. 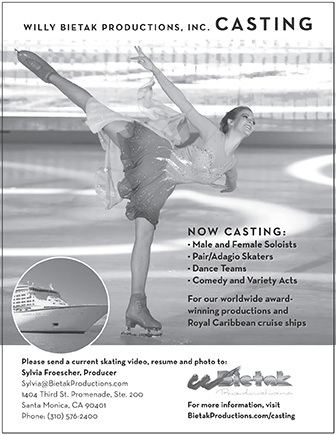 Wilson last choreographed a program for the 32-year-old Osaka resident for the 2011-2012 season. Though his new short program has complex choreography Takahashi is confident he can handle it. His long program, designed by Benoît Richaud, is to the “Pale Green Ghosts,” a composition by John Grant. Richaud wrote to Takahashi and said he would like to do a program for him and he accepted the offer. He said it is a new style with unique choreography. The Japanese star will begin his comeback debut at the Kinki Championships, which begin October 5 in Japan. Read our exclusive interview with Takahashi in the October issue of International Figure Skating magazine. To order a copy or to subscribe to IFS, click on the cover image.